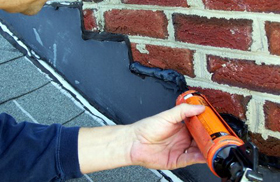 If you need to repair or replace your roof vent pipes contact LGC Roofing, your local, family run NJ roofing contractor. 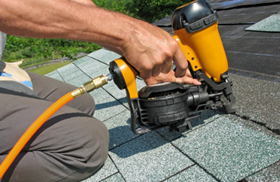 in roof installation & repair, including vent pipe repairs. We start with a thorough inspection of your chimney's base and walls to evaluate the damage then proceed with appropriate repair options. 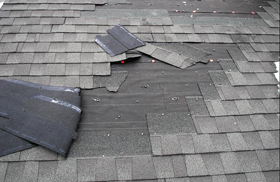 We remove the shingles above and around the pipe using a pry bar taking care not to damage any shingles, then remove the flashing base. We remove old nails and fill all holes with superior roof cement to ensure that the roof maintains its water-tight integrity. We replace the pipe collar – the flashing that surround the plumbing vent pipes. We apply roof cement to the newly installed flashing to cover small openings and cracks. Roof vent pipes often have collars around their base, to keep rain water and debris from leaking into your attic. When those collars rust or fray, water can pool in your attic, causing damage to the inside of your home. 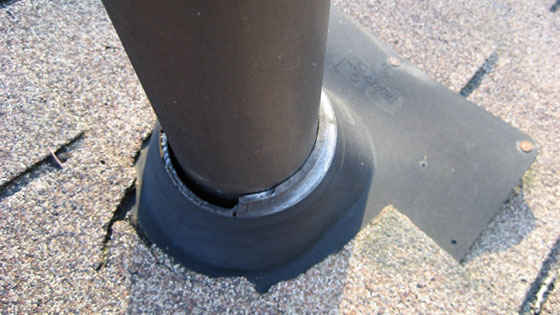 Deterioration of the flashing and roof cement around vent pipes is also a common occurrence.Breaks in the sealant around the seal or flange can occur especially in the harsh summer heat—followed by the cold and frost of winter. Request a vent pipe repair estimate for your home in just 20 seconds.